Learn to Crochet with Melissa Leapman! The I Can't Believe I'm Crocheting! DVD from Leisure Arts provides complete learn-to-crochet instructions for beginners. The DVD's auto-pause feature allows you to set your own pace as expert Melissa Leapman takes you through step-by-step lessons. Includes easy beginner crochet projects, including a scarf, a belt, and a purse. Other special features include a convenient A-Z topic index, reference library, and troubleshooting guide. Get started crocheting with this beginner crochet DVD from Leisure Arts! Order DVD only or create your own kit by adding a crochet hook & yarn to your order - available for purchase in table below. Designed for Comfort with Ultra Smooth Finish. 100% Acrylic / Medium Weight Yarn. 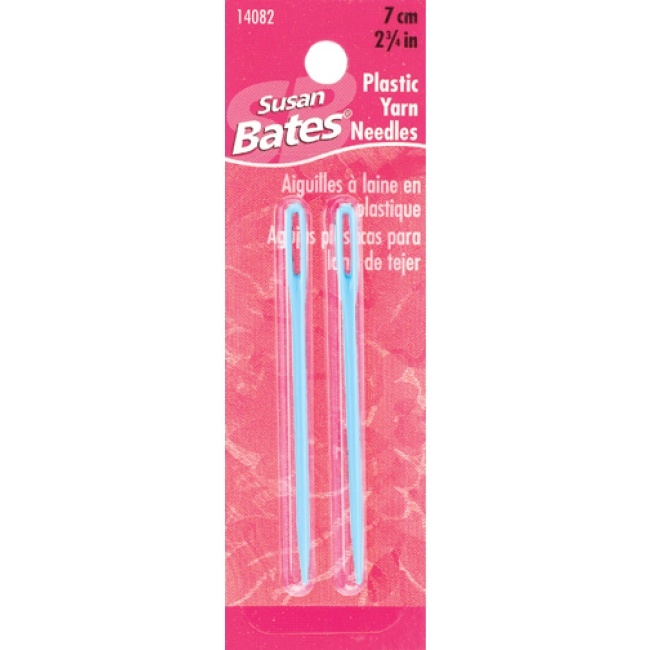 Luxite Plastic Yarn Needles for Medium Weight Yarns.